The heatwave this week is no joke... hands down one of the hottest week I have ever experienced in my 19 years living in the Bay Area! Normally when you roll into San Francisco itself, there will be a blanket of fog and the weather would be 10 degrees less than anywhere else; but not this time. SF has been cooking up like an oven and luckily I haven't yet put my summer clothes away! 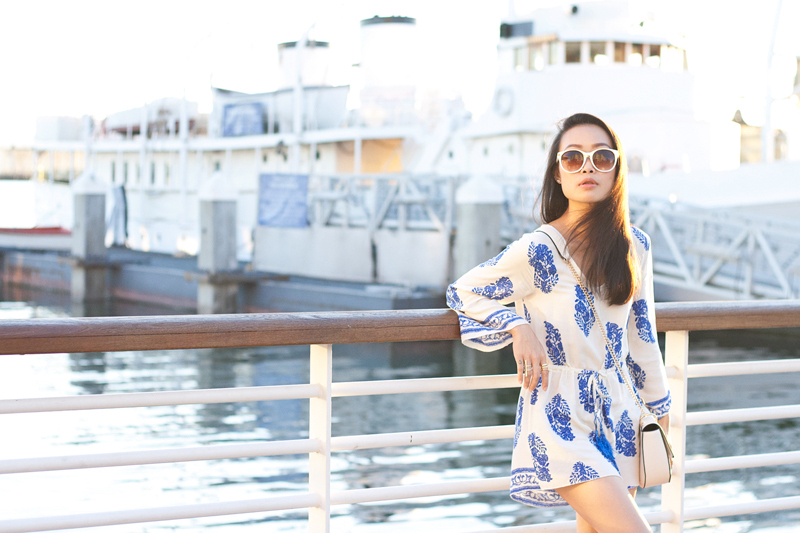 I have been wearing super easy pieces all week like this lovely printed romper. The long sleeves protect me from the sun while the lightweight material keeps me cool. Cream crossbody bag (sold out) c/o F21. Crochet lace espadrilles by Madden Girl c/o Charlotte Russe. V double bar gold ring c/o Wanderlust & Co. This heat is no joke! We've been sweltering in our 3rd floor apartment (with no AC, naturally). I do love the warm nights though - such a novelty for our foggy little city. Beautiful shots, by the way! Pretty romper and it looks so comfortable for the hot weather! 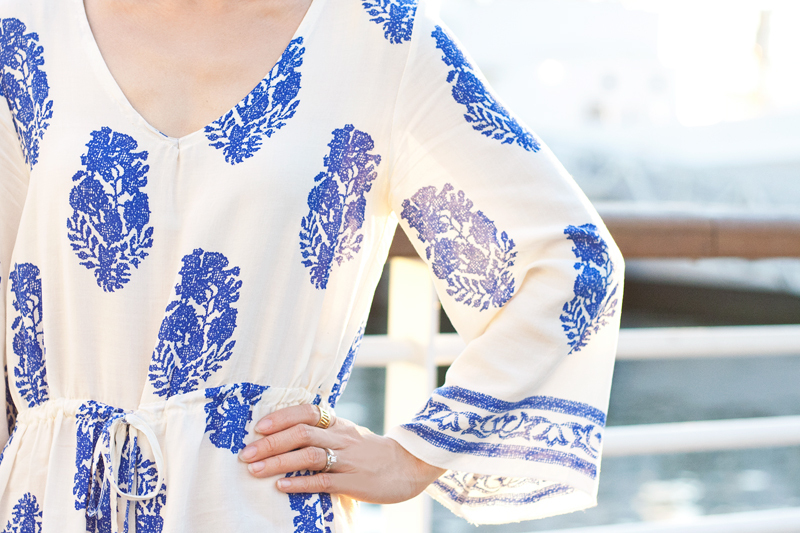 That romper has such a pretty print.